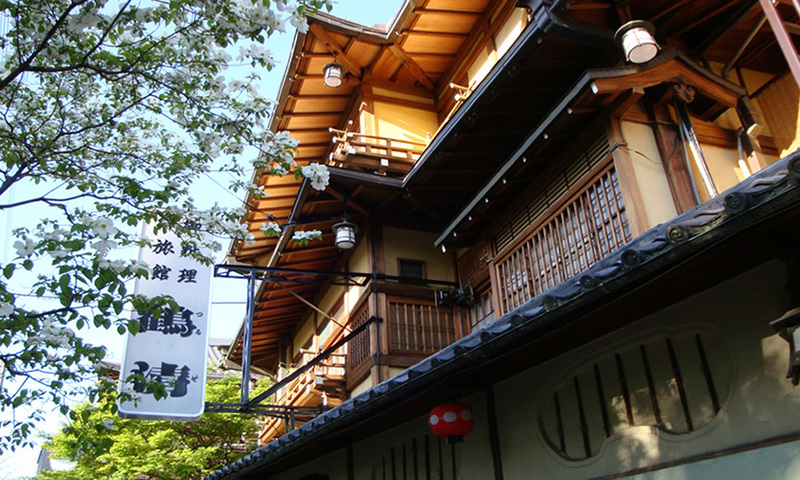 Restaurant and Inn "Tsuruse" is located along the Kamo river in the west side of Gojo Ohashi. A wooden three-story structure constructed in 1933, it is made of hinoki cypress and exists today with the same elegance as it had when it was first built. It was used by the Occupation Forces after the war, and its atmosphere exudes vigor and a feeling of the history behind it. Guests that visit can feel a certain warmth and comfort to the atmosphere, quite distinct from modern architecture. We believe we have the chance to show our true skill when we can display our ability to bring out the best flavors of each ingredient, all the while valuing the taste passed down through generations of tradition. In addition, not only are we dedicated to serving the best ingredients of each season, but we are very particular about presentation of our dishes and serving brilliantly plated colorful dishes of Kyoto. We cordially invite you Tsuruse and hope you will enjoy your time with us. 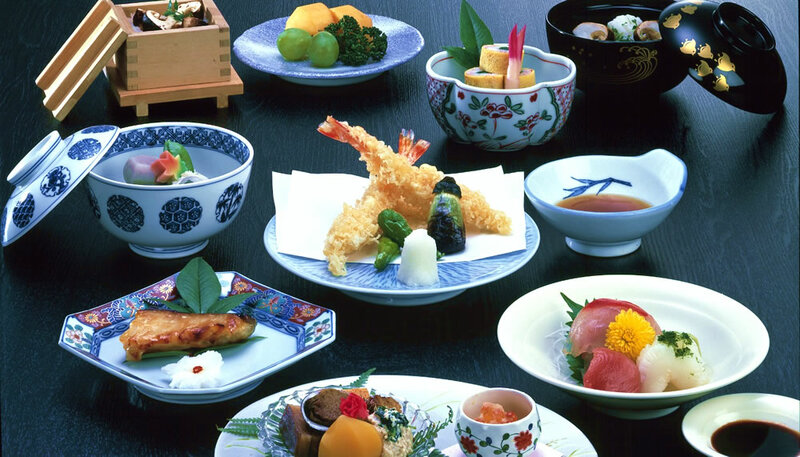 In Japan, the true purpose of a “Restaurant and Inn” is a restaurant and inn that is dedicated not only to providing a comfortable place to stay but to providing truly delicious cuisine that guests can enjoy. The owner Nobuyuki Tanaka is a skilled chef that has experience working at luxury hotels and training at the world-renowned and long-established Japanese restaurant, “Kitcho”. We are honored to continue to uphold the customs and practices of Kyoto cuisine passing down traditions through generations. We are fully committed to not only selecting the most premium seasonal ingredients but also lovingly prepare them to stimulate your eyes and palate by bringing out the best flavors in the ingredients and beautifully presenting them. Large rooms, as well as private rooms with a beautiful view overlooking Kamo River are available for reservation, and children, families, and large groups are all welcome. The large presence and biggest establishment you can still feel the ambience of the good old times of Kyoto; a certain warmth and comforting atmosphere different from modern architecture. 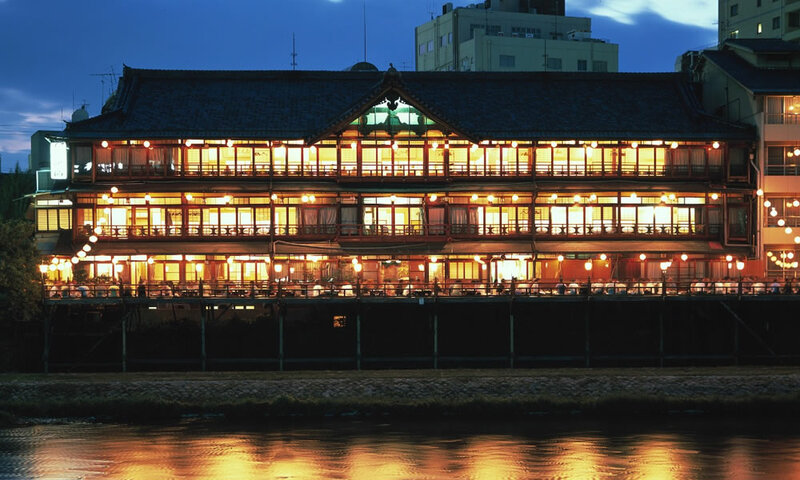 A wooden three-story structure constructed in 1933 and made of hinoki cypress, it is a sight to behold with its impressive structure across the bank of the Kamo River. The coffered ceiling of the large hall and the cusped gable on the porch of the structure are indicative of its rich history. During summer (May through the end of September) one of the traditional features of summer is “Kamogawa no yuka” where large wooden platforms are setup outside along Kamo River. Tsuruse boasts the largest space, accepting 200 guests at a time with many guests visiting every year so they can enjoy dining outside on seasonal cuisine while taking in the spectacular views and large open space. We welcome guests to enjoy the warm, comforting atmosphere; an altogether different feeling elicited from modern architecture.